Susan Barcus, Mike Williams and Lisa Williams are pictured at the unveiling of a Winery at Versailles bottle of wine dedicated to Mike Williams. Jamie Williams, Mike Williams and Lisa Williams Heidenreich are pictured at the unveiling of a Winery at Versailles bottle of wine dedicated to Mike Williams. 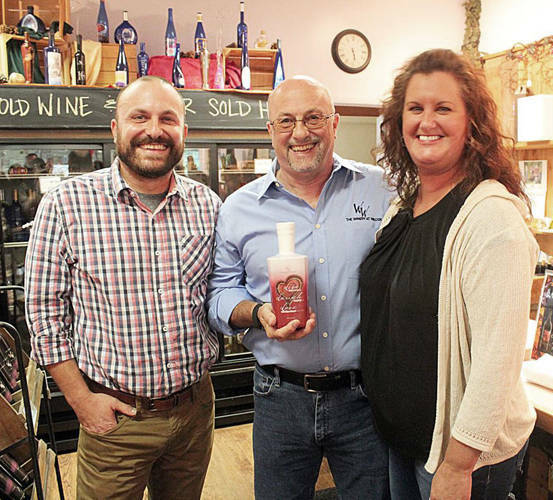 VERSAILLES – During a private unveiling and tasting attended by family, employees, his church family and special guests, Winery at Versailles owner Mike Williams was honored with his bottle. On Sept. 15, 2017, Mike Williams underwent quadruple heart bypass surgery at Kettering Medical Center. Not only did he come through it OK but actually way ahead of schedule. The doctors and staff were all amazed at how quickly he recovered and was back on his feet. A portion of the sale of each bottle in Ohio and Pennsylvania will be donated to local organizations in honor of Mike Williams. 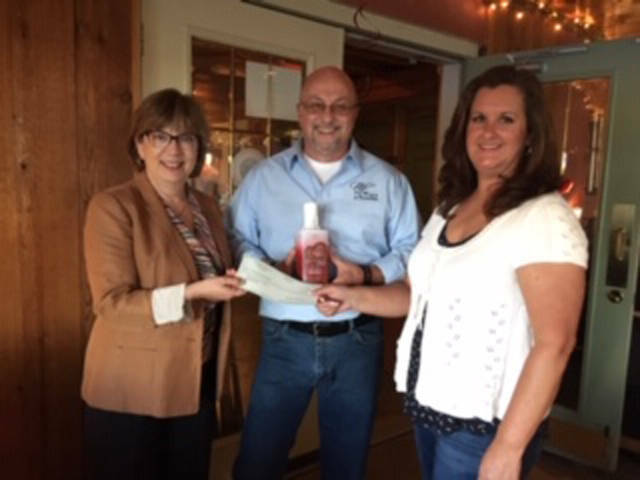 On hand to receive the first check was Susan Barcus, president of Kettering Medical Center Foundation, to which a portion of the proceeds from the sale of the new wine will be donated. Barcus told of how the proceeds would be used – to help those who were in need, either without family or funds, receiving heart care in the Kettering Medical Center hospitals.